The High Holidays Unbound: Through our High Holidays Unbound initiative, we have created a one-stop hub for you to find videos, songs, articles, books, and more that we hope will add creativity, joy, meaning, and inspiration to the holidays of Rosh Hashanah and Yom Kippur. We have also recorded short explorations of some core texts of the High Holiday season in the form of 10-minute "mini-episodes" of our Judaism Unbound podcast. In these we look at some of the key texts of Rosh Hashanah and Yom Kippur (including the binding of Isaac, the book of Jonah, and many more) from our outside-the-box, "unbound" perspective. Shavuot Unbound: Shavuot. It's a mysterious day to many Jews. They've heard the name, but they've never really celebrated the holiday. Shavuot Unbound represents a new way to engage with this ancient celebration. It takes Shavuot's ritual of all-night study and gives it a 21st century twist. That twist is that, instead of restricting study texts to Torah, Talmud, and other rabbinic writings, Shavuot Unbound broadens the definition of "Jewish text to include everything from Youtube videos of the weekly Torah portion, to podcasts on American Jewish trends, to television shows like Transparent or Orange is the New Black that engage directly with Jewish questions. These media are not merely "Jew-ish." They're genuine ways to engage with Judaism. Through 1-hour, 3-hour, 6-hour, and 12-hour "Shavuot Budgets," (minute-by-minute schedules for you to use in planning out your own all-night Shavuot experience, including questions to consider as you go), we encourage that engagement. If you desire a Shavuot experience that includes an episode of Orange is the New Black, a podcast on intermarriage, or an animated Jewish show you can share with the kids, then Shavuot Unbound is just what you're looking for! Hanukkah Unbound: Some people bemoan that fact that Hanukkah has grown in prominence over the last few generations. They view that development as a sad sign of Jewish assimilation, since its growth is largely tied to its proximity to Christmas. We don't see it that way! We think that Hanukkah is a fantastic winter holiday that is worthy of celebration and, of course, experimentation. Hanukkah Unbound provides a wide variety of activities, rituals, texts, videos, and more for you to engage with, launching your Hanukkah experience from good to great in the process! Whether you want to light your Menorah in 8 different ways, learn about the ancient and modern history of Hanukkah, play a 21st-century version of the dreidel game, or just watch some fun Hanukkah TV specials, Hanukkah Unbound has something that you can enjoy with friends, loved ones, or as an individual experience. Four New Questions Passover Supplement: At the Passover Seder, it is traditional to ask many questions. Some of these questions, however, function as rhetorical -- not open-ended. The "right" answers to them are written right there in the Haggadah! To supplement those questions and answers, we thought we would ask four questions that are on our mind, and whose answers we cannot claim to know yet. We believe American Judaism would be in better shape if we grappled with these important questions -- on Passover and throughout the rest of the year. View the supplement on the right, and access the full-size pdf here! 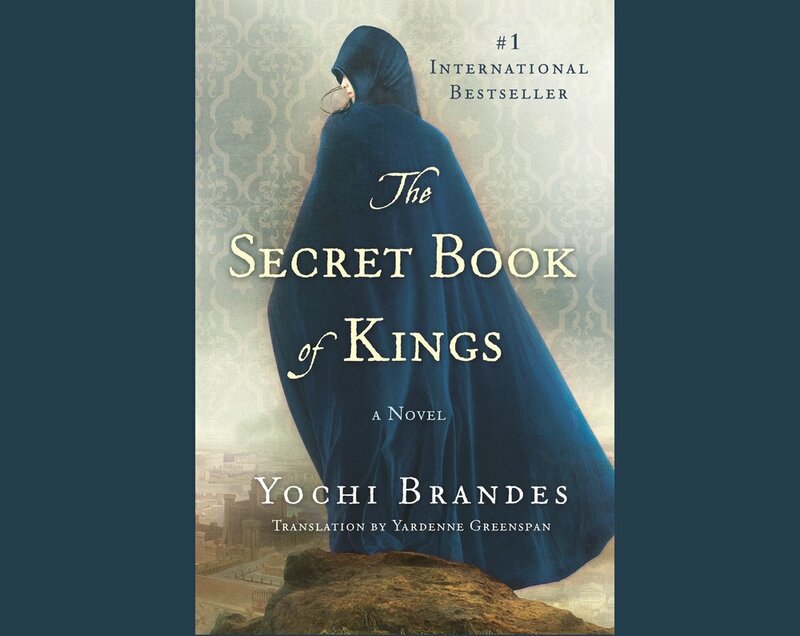 The Secret Book of Kings: The Secret Book of Kings is a novel, but it upends conventions of biblical novels, engaging with the canonized stories of the founding of the Kingdom of Israel and turning them on their heads. Presented for the first time are the heretofore unknown stories of the House of Saul and of the northern Kingdom of Israel, stories that were artfully concealed by the House of David and the scribes of the southern Kingdom of Judah. Judaism Unbound Co-host Dan Libenson helped ensure that this book, originally published in Hebrew, would be available to English-speaking readers, and he assisted in translating it himself. You can purchase the book here and learn more about it at its website (designed by us! ), available at this link. To hear fuller analysis of the book and its importance to contemporary Judaism, you can listen to Episode 28 of our podcast or Dan's guest appearances on The History in the Bible Podcast and TanakhCast. If you have ideas for other resources that Judaism Unbound could create -- for holidays, life-cycle events, or anything else, please let us know by emailing Lex@NextJewishFuture.org or Dan@NextJewishFuture.org!